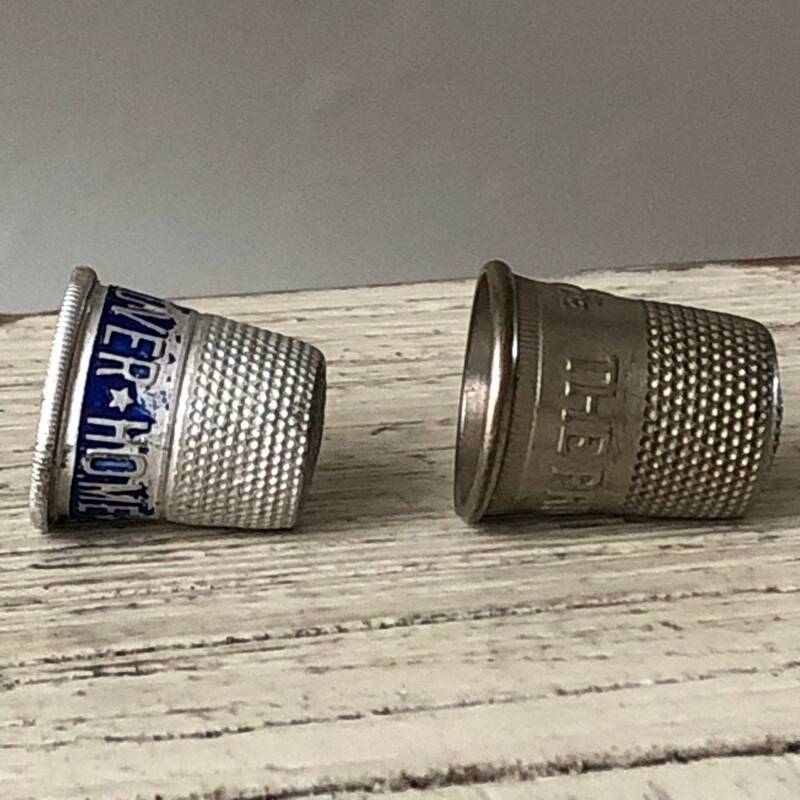 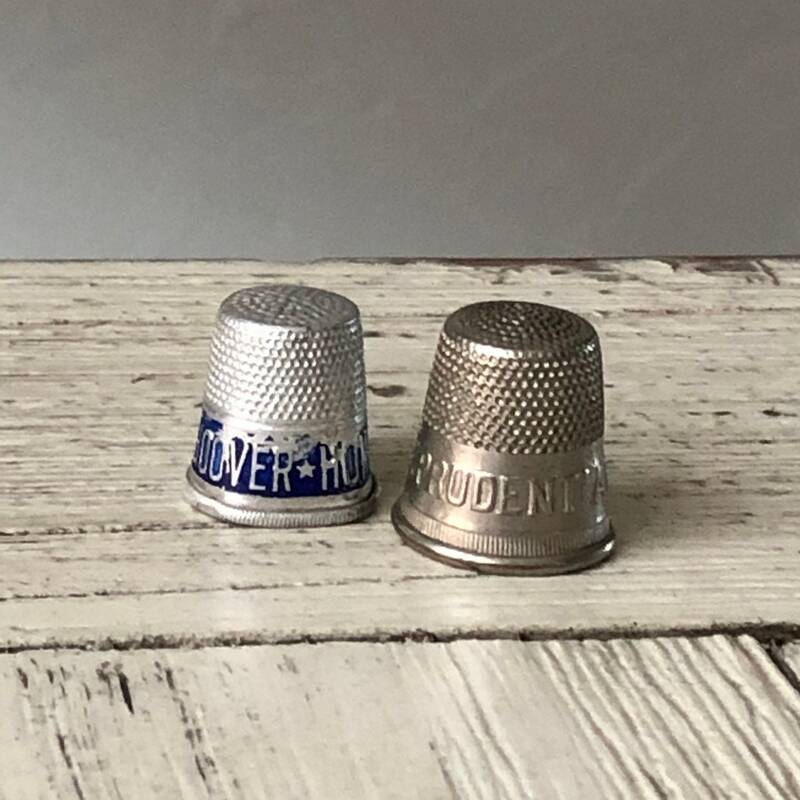 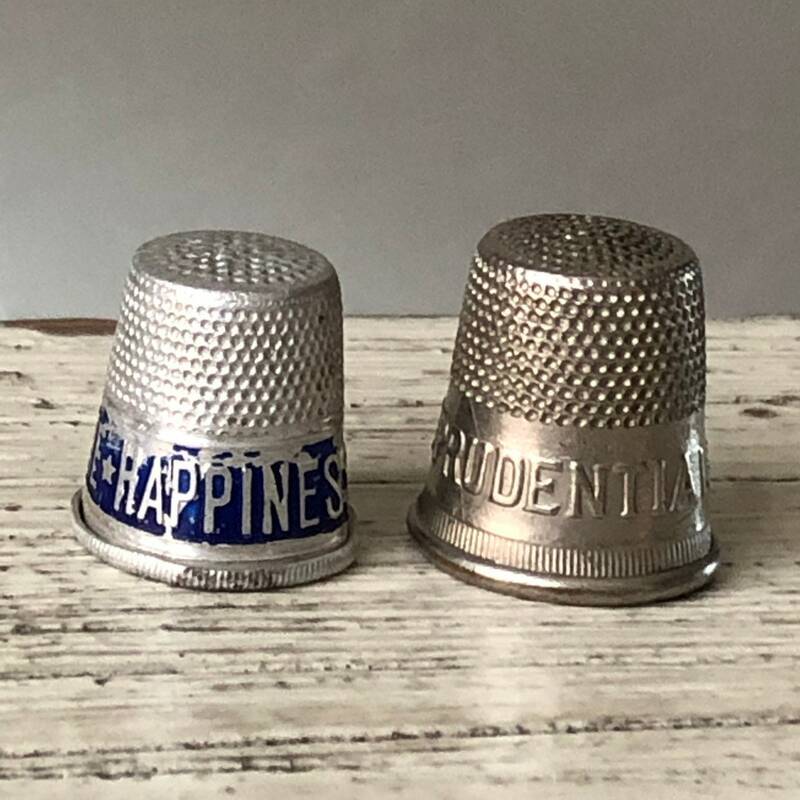 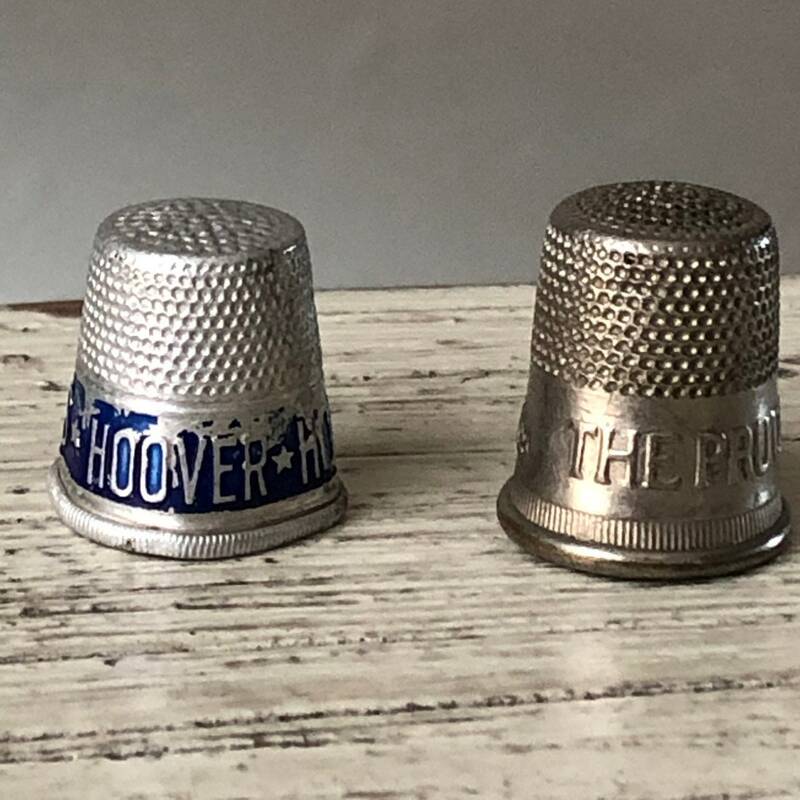 These little political & insurance advertising thimbles were made during the 1920s-40s. 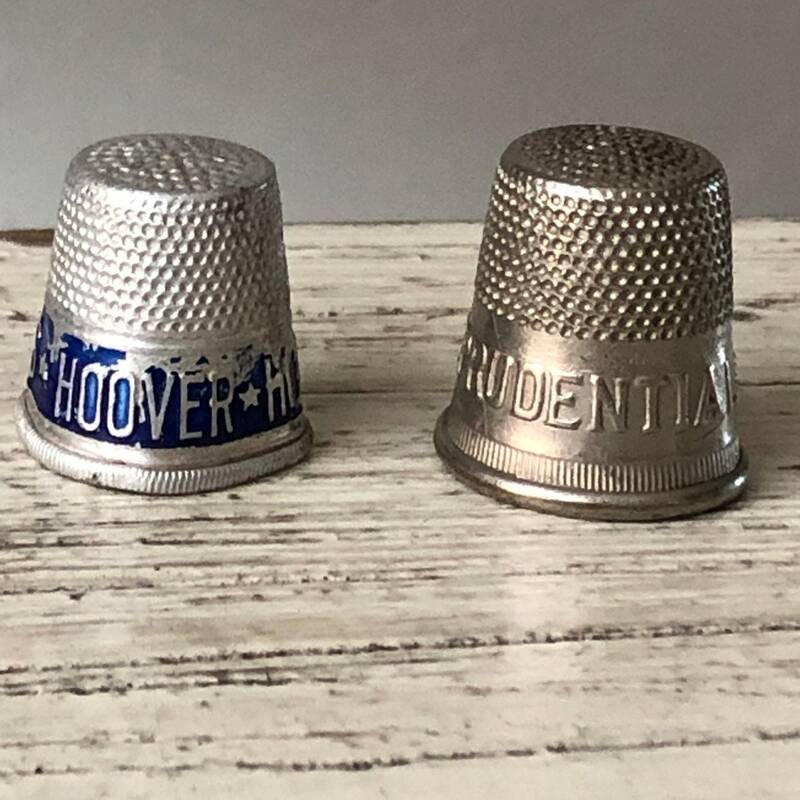 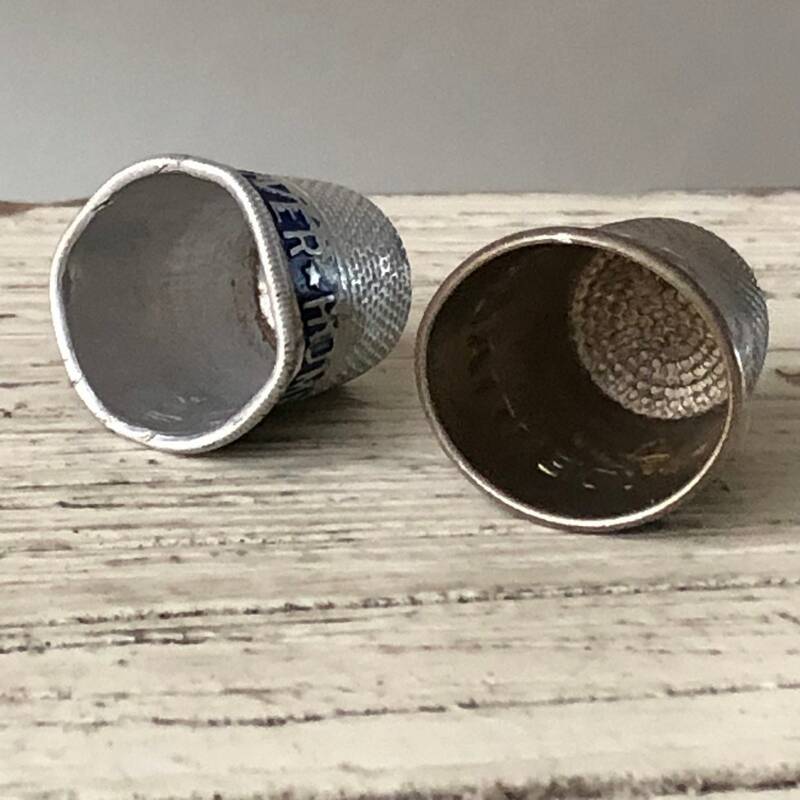 Hoover * Home * Happiness aluminum thimble is about 3/4" tall and in used, bent vintage condition with blue graphics. 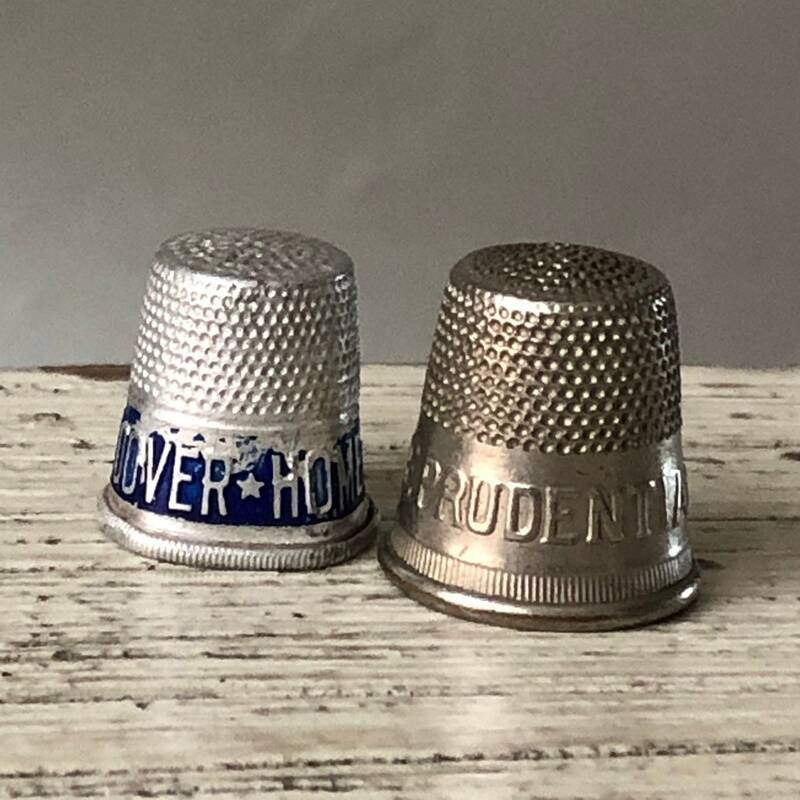 Prudential thimble is just a tiny bit taller, also slightly bent.